Enjoy twice the storage space with the double sided island cubby display. 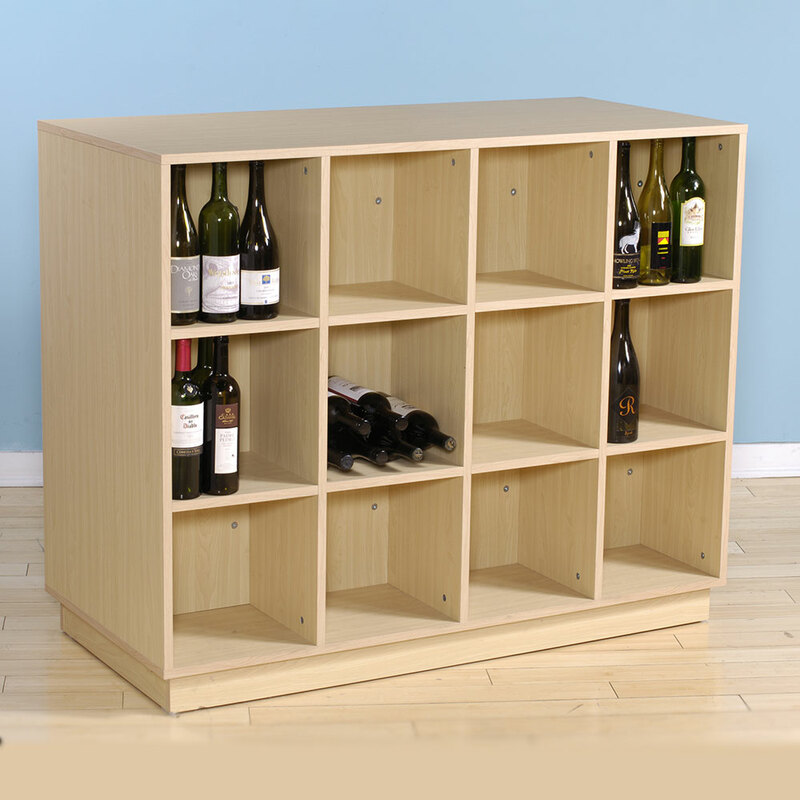 Spacious cubbys can display apparel, bottles, books, handbags - the options are endless! 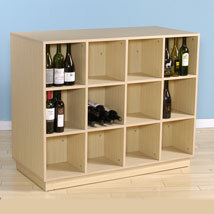 Use on it`s own or with another island cubby display to create your ideal look. Great for schools and libraries too! Each cubby is 12 in. W x 11 1/2 in. D x 12 in. H. Don`t forget to add sign holders to effectively advertise your specials, search item 4886.